“American as apple pie.” is a common phrase, particularly among Americans, but as a Canadian, I prefer to think of it as “Autumnal as apple pie.” As you may or may not have gathered from my recent post on Ginger Cake: fall is my favourite season for flavours. Don’t get me wrong, I’m also a big citrus fan, so Winter’s mandarins and clementines or Summer’s lemonade are all great things, but there is something so cozy and homey about the flavours of fall. The colours are also lovely to cook with, I love all the saturated colours of the root vegetables, the fresh and dried fruits and the woody herbs. 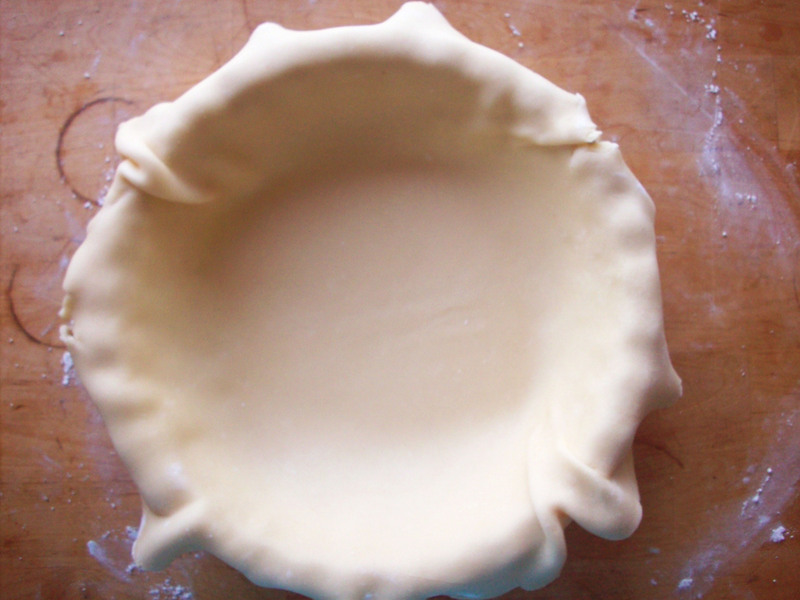 2) This pie crust was really easy. Pastry is sort of like eggs to me. You may be thinking, how in the world … but let me explain: Eggs, like pastry, are a simple ingredient, and when done well, they are dynamite, but done poorly, well … you may as well just pour yourself a stiff drink and go to bed. No two ingredients have made me cry more frustrated tears (The horror! The horror!) than eggs and pastry. As I learned and shared with you a month or so ago, eggs can be conquered, even mastered, but if you have read this humble blog since it’s inception, you will know that it has been, until this post, completely devoid of pastry. Let’s begin with the fruit. I have some opinions on cooking with apples: the concept of an “eating apple” and a cooking apple” is real, and it is serious business my friends! 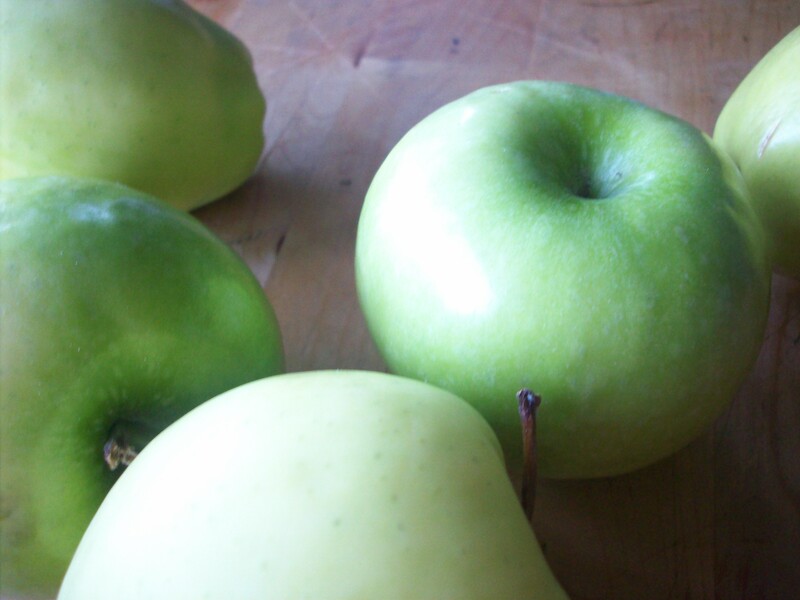 Eating apples have great, crisp texture and tend to be sweet, with the exception of some, like Granny Smiths. 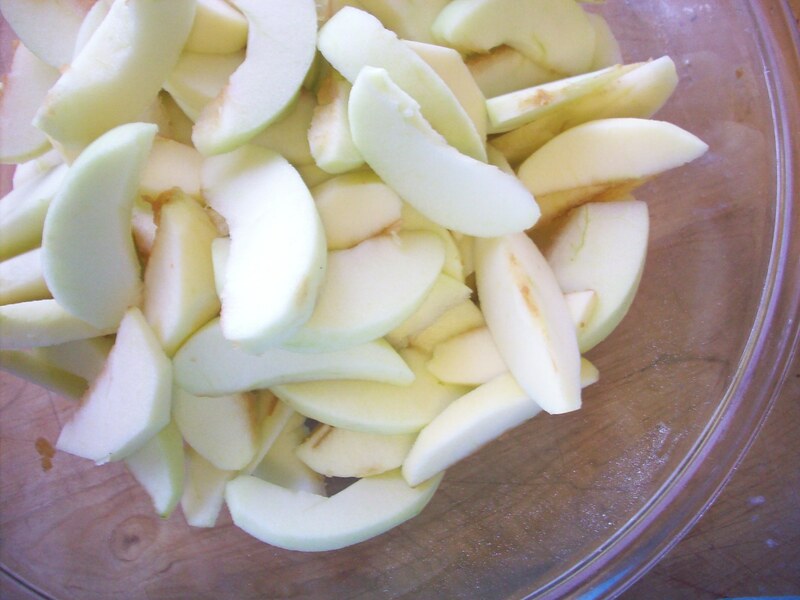 Cooking apples tend to be less appealing raw, either because their texture is less refined, or because they are sour. As a matter of personal taste you need to make up your own mind, because not all eating apples are bad to cook with and not all cooking apples are bad out of hand. When it comes to cooking apples (and I’m referring to almost any cooked preparation except applesauce), I have 2 favourites: Granny Smith and Yellow Delicious. Personally, I don’t care for either of them fresh. The former is hard-fleshed and sour, the latter is mushy and bland, but when cooked, especially when you use them together, you get a winning combination of sweet, tart, firm and soft. A note on peeled apples: Some say you should put your peeled apples into water with a squirt of lemon juice so they don’t get too brown. I think that is a fine idea if you are dealing with your apples well before the pastry and assembly of your pie. However, that browning as the fruit oxidizes sweetens it a bit, so I don’t see much harm in it. Once you have added sugar and spice (and all things nice) your apples won’t be lily-white any more anyways. So what did I do to prepare my apples for their fate? 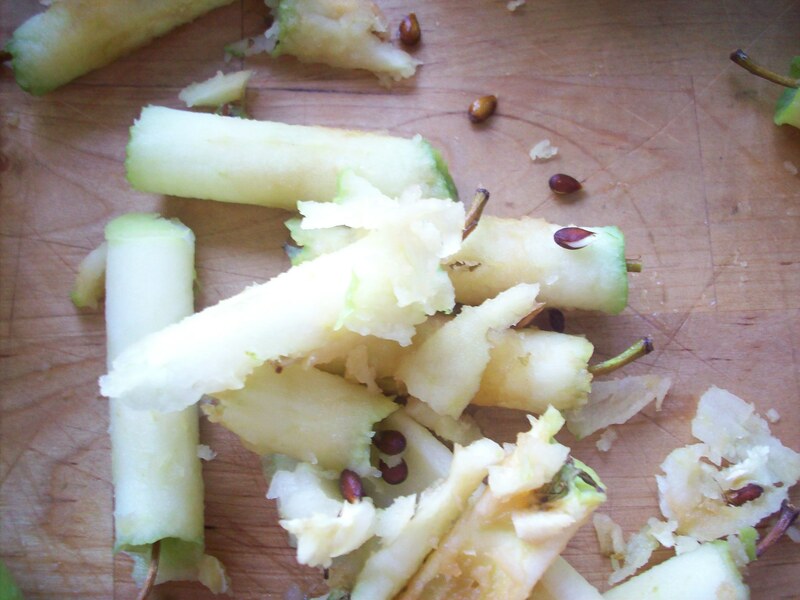 I cored them, peeled them and sliced them. Here is how they were before I began; pristine, ripe and intact. Then we were ready to make pastry. Preheat your oven to 400F. 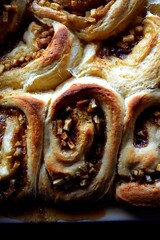 I didn’t invent this pastry recipe. I used the recipe for pate sucree from Martha Stewart’s website. Not very original, I know, but as I said, I was intimidated, and generally Martha is pretty reliable, especially with baking. 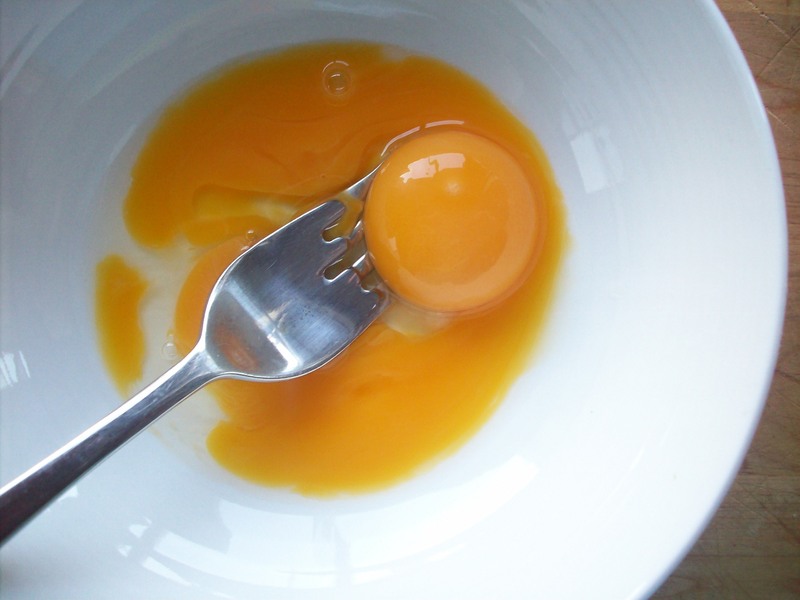 Lightly beat yolks and water in a small bowl until combined. 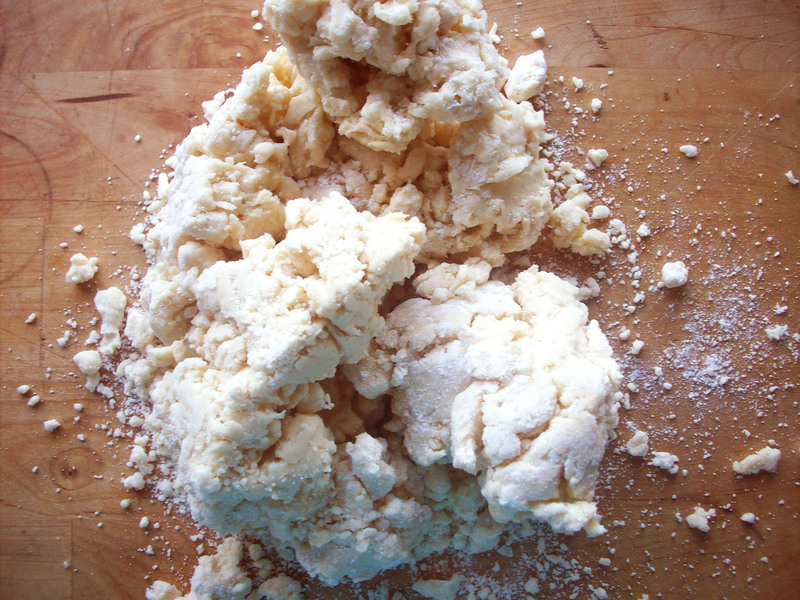 Pulse flour, sugar, and a pinch of salt in a food processor until combined. Add butter, and process until mixture resembles coarse meal, about 20 seconds. With the machine running, add yolk mixture in a slow, steady stream. Process until mixture just begins to hold together (no longer than 30 seconds). 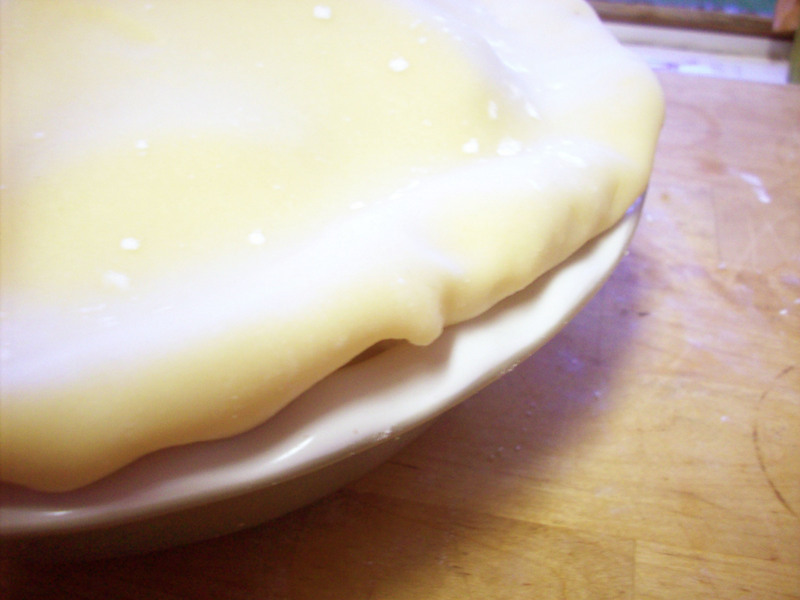 Shape dough into 2 disks, and wrap each in plastic. Refrigerate until firm. 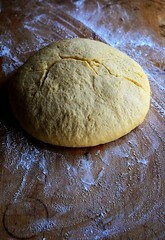 Roll the first round of dough out on a floured surface (leave the second one in the fridge until you need it. Be sure to four your rolling pin as well, though I did not find this dough sticky at all. 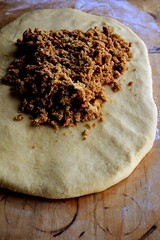 Do your best to roll the dough out with a minimum number of passes, this helps the dough stay tender and tough. 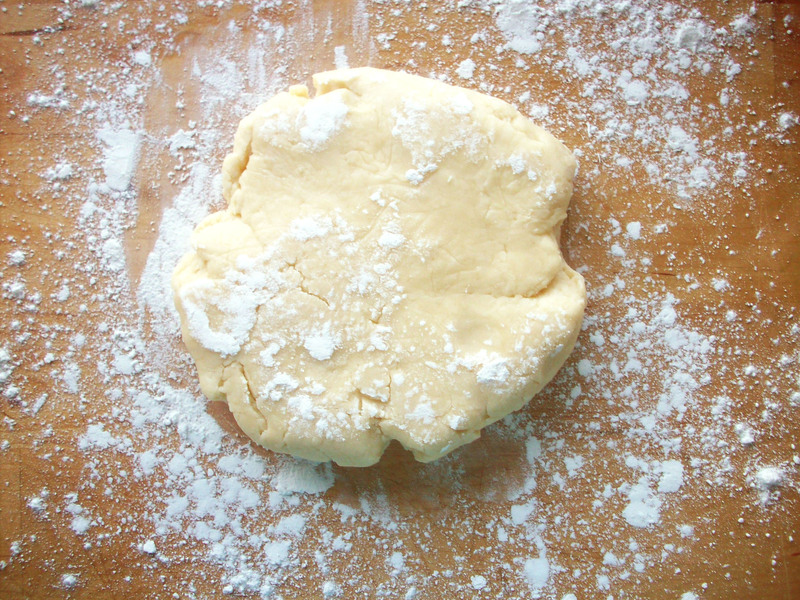 Once your dough is rolled out several inches wider than the diameter of your dish (remember that it has to go down into the dish, so account for that!) 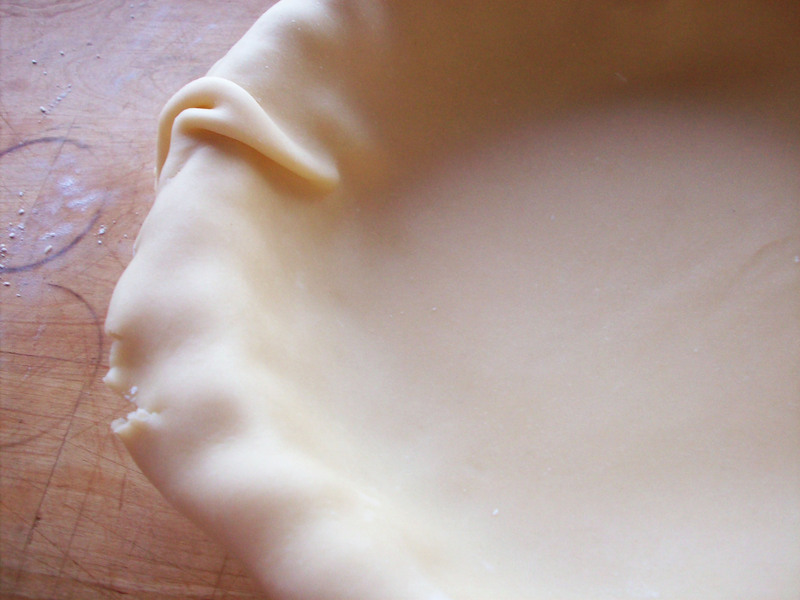 gently drape the dough into your pie plate. Don’t sweat it if things get a bit folded, or puckered or wrinkled, even torn. Let the excess crust hang a bit, it won’t hurt it. At this stage, if your oven is hot, pop this bottom crust into the fridge to keep cool. Great pastry is made cold and baked hot. Now, back to the apples. I made the executive decision not to add any flour or cornstarch to my apples. You may be thinking, “But Sarah! 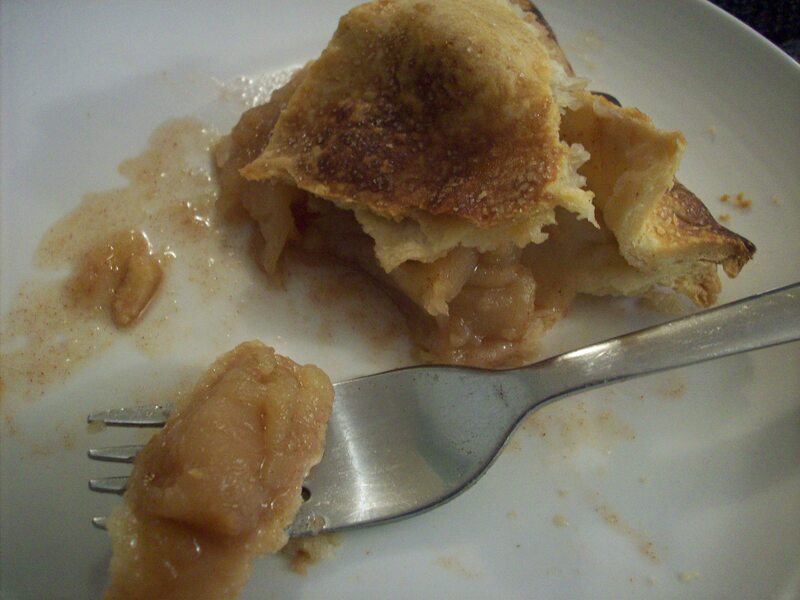 Don’t you LIKE the gelatinous, glossy texture of most apple pies?”. The answer to that one is a resounding no. I like to keep things simple, for the most part, and I don’t mind that the apples get a bit juicy. 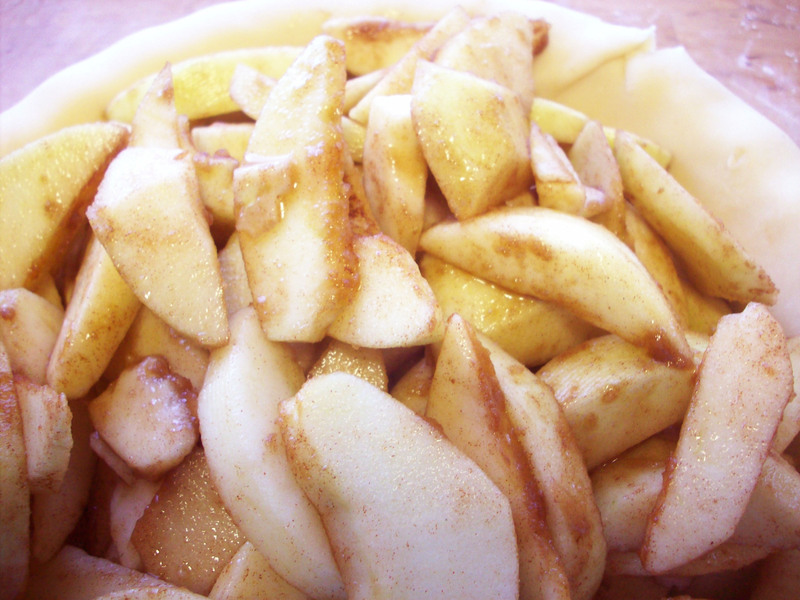 I also like to taste the fruit, so all I did was add a bit of brown sugar and cinnamon. 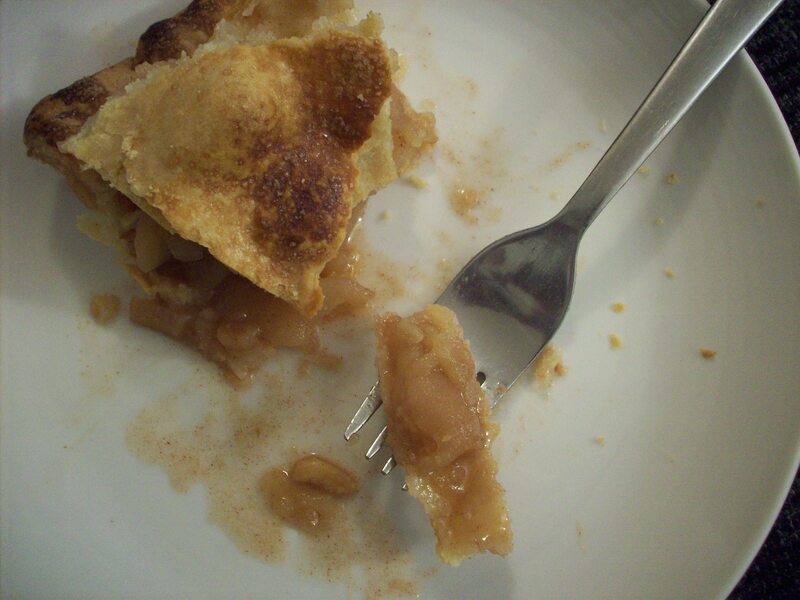 Then I tossed the apples so that every slice had sugar and spice on it and dumped the whole lot into the chilled crust. 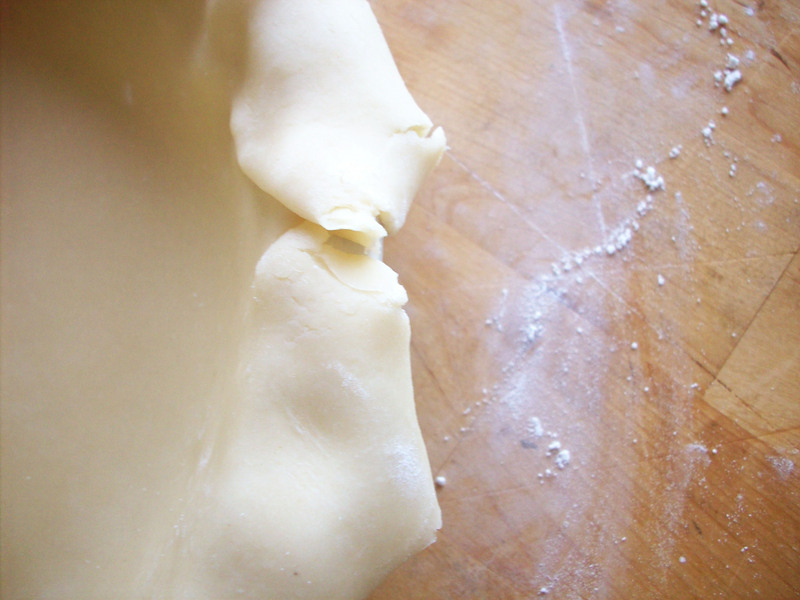 Next, all you need do is roll out your second round of pastry, and it needn’t be much more than 3/4 of an inch wider than your dish this time. Lay the top crust over the fruit and gently pinch the top and bottom layers together as if you were sealing a ravioli. 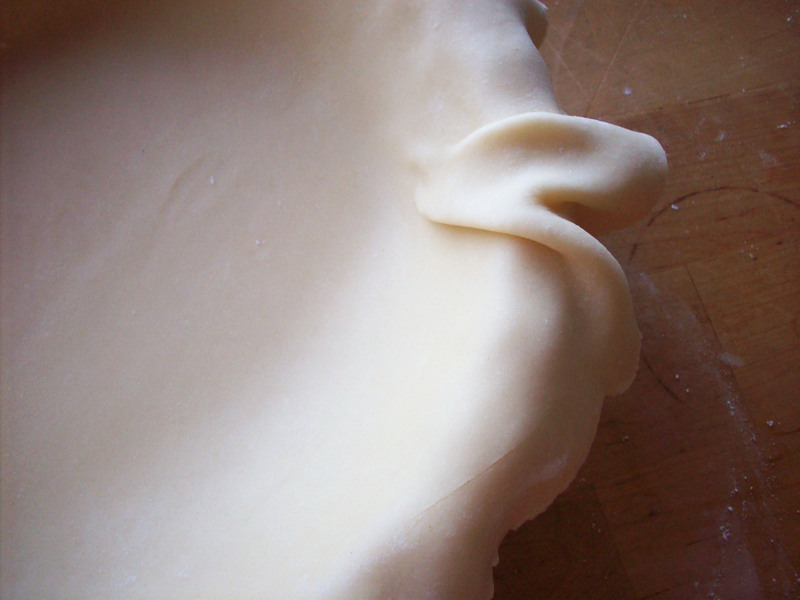 Then tuck the edge under itself self so the edge of the crust is a tidy fold. Then, with your thumb, dent the edges of the crust to seal it. Brush the top with milk or cream if you like a deep golden brown crust, if you like it paler, leave it as is. I also sprinkled mine with a pinch of sugar. Cut a couple slits into the top to allow steam to escape as it bakes, at 400F for 60 minutes. Allow to cool almost completely before serving.